When is Ugadi in 2019? Ugadi, is the Hindu New Year celebrated by the people of the Deccan region of India. 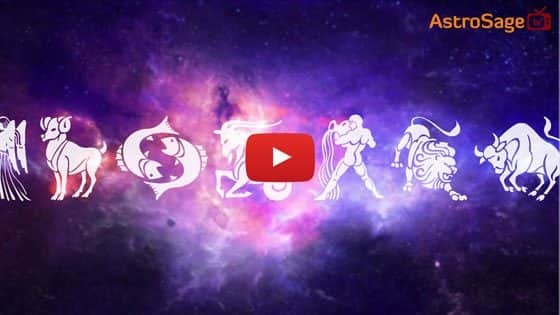 The 2019 Telugu Samvatsara is Paridhāvi 2076. 1. Ugadi is celebrated on the Chaitra Shukla Pratipada (first day of the bright fortnight of the Hindu month Chaitra), as per the Panchangam. 2. The Pratipada Tithi must prevail during the sunrise of the day. 3. In case, the sunrises of 2 days are witnessing Pratipada, the first day will be considered for the celebration. 4. If Pratipada Tithi is not prevailing on any sunrise, the day will be considered when the Tithi will be beginning. 5. Ugadhi is not celebrated in Adhik Maas (extra month added after every 32 months, 16 days, and 8 Ghatis). In Sanskrit, the day of Ugadi is called Chaitra Shuddha Padyami. The Lord of the first day of the New Year is considered as the Lord of the entire year. In 2019, first day is Saturday. Lord saturn is the Lord of Saturday. Hence, Lord of this New Year is saturn. Kartikeya and Ganesha, the sons of Shiva-Parvati, were very fond of mangoes. Kartikey insisted people to tie mango leaves at the door of their houses to welcome prosperity and good harvest. People also make colorful Rangolis in front of their houses after sprinkling the area with the cow dung mixed water. The New Year is begun with the blessings of gods by worshipping them. People worship the gods as per their convenience. People from the various regions of Deccan plateau in India celebrate Ugaadi with great enthusiasm. Relatives gather on a grand feast. Festivities begin from an early morning oil bath. In Karnatka, people have this delicacy as Bevu Bella. Ugadi Pachadi is eaten as a holy food on this day. It is the first thing that people eat in the celebration of this festival. At some places, people just take neem leaves with jaggery. Many other delicacies are prepared for the day. One of them is Obbattu/Holige/Puran Poli. It is a Roti stuffed with the paste of grams and sugar/jaggery; topped with clarified butter (Ghee) or milk. Some people use coconut milk instead of dairy milk. Later in the day, people gather and listen to the horoscope as well as details of the Panchangam of the New Year by an elder or responsible person. At some places, Kavi Sammelan (poetry event) is also organized. Some experts demonstrate Ashtavadhaanam, Shathavadhanam, and Sahasravadhanam as well during this event. It is a very rare skill. In this, a person must remember the difficult verses presented by 8, 100, and 1000 experts of the literature; and the order of the verses must be correct. The person has to recite all the verses in order in a poetic way. It is performed at the end of the event. People from Karnataka, Maharashtra, and Konkani community spell this festival as Yugadi. Telugu people know it both ways as Ugadi or Yugadi, depending on their region and community. In Maharashtra, majority of people know this day as Gudi Padwa. • Chaitra Navratri begins from this day for North Indians. We, at AstroSage, wish you a very Happy Ugadi!